Use the Nucleus-Nano Wireless Focus Control System from Tilta to wirelessly control the focus of most DSLR, mirrorless, or cine-style lenses. The core of the system is the pairing of the focus control motor and the focus hand wheel. The units can connect to each other from 300' away, and can be mounted in a variety of ways. 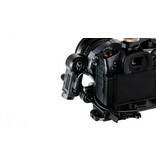 The units support run/stop functions and setting hard A and B limits for more control over your camera and lens. The hand wheel is powered by a single 14500 lithium battery and the motor is powered by your camera or a battery via its micro-USB connector. The units are both constructed of durable materials, and the hand wheel features an attractive, comfortable rosewood grip. 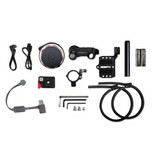 Included in the kit with the hand wheel and motor are a mounting baseplate for 95mm lenses, a 15mm rod, a micro-USB motor cable, a 0.8 MOD motor gear, two lens gear rings, attachment plates for the Ronin-S/G2 and Zhiyun Crane, a dual-battery charger, two batteries, mounting screws, and two Allen keys. See below for more information about the items that make up the system. Pair this Nucleus-Nano Wireless Focus Hand Wheel Controller from Tilta with the Nucleus-Nano Motor to wirelessly control the focus of most DSLR, mirrorless, or cine-style lenses. The large Hand Wheel responds with no delay as it wirelessly controls the separately available Nucleus-Nano motor from up to 300' away via 2.4 GHz Wi-Fi, and it lasts up to six hours on a single 3.7V 14500 lithium-ion battery. You can also perform run/stop functions and set hard A and B limits with the buttons on the wheel for more control over your camera and lens. The Hand Wheel is constructed with aluminum, plastic, rubber, and a sleek rosewood-lined handle for comfort and style. 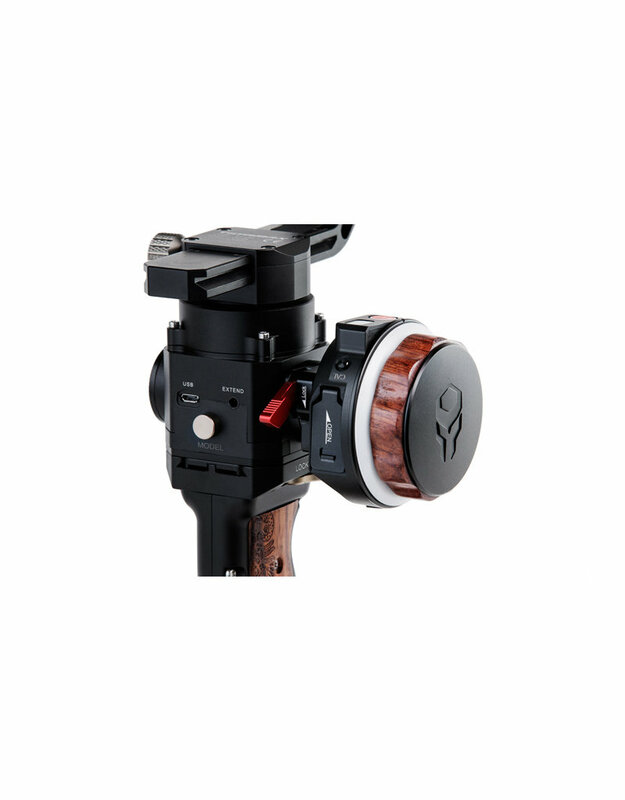 It can mount on a stand, rig, or gimbal such as the Gravity G2X with a rosette connector. One 14500 lithium-ion battery is included with the Hand Wheel. 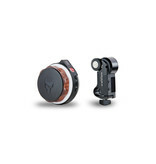 Pair this Nucleus-Nano Lens Control Motor from Tilta with the separately available Nucleus-Nano Focus Hand Wheel or Nucleus-M FIZ unit to wirelessly control the focus of most DSLR, mirrorless, or cine-style lenses. 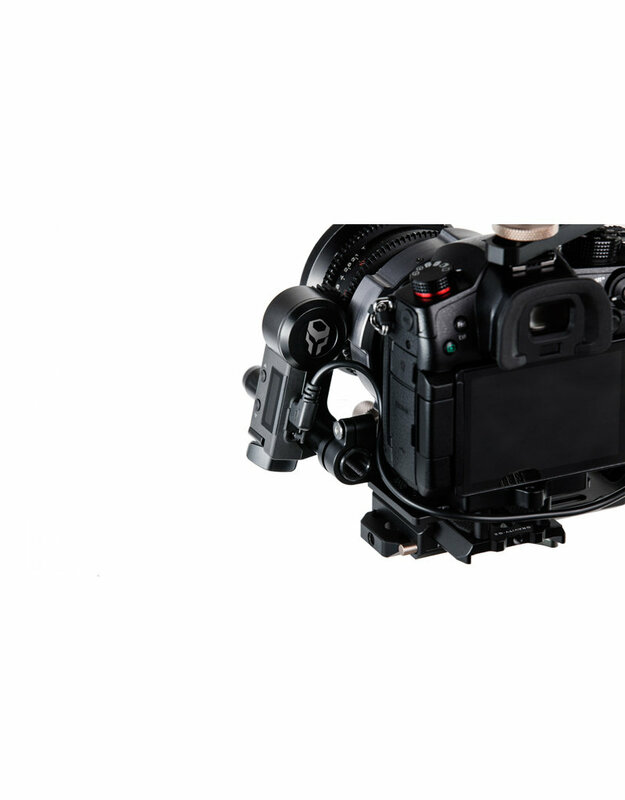 The motor comes with a standard 0.8 MOD cine lens gear, operates at up to 1Nm of torque, and can connect wirelessly to the Nucleus-Nano Focus Hand Wheel from up to 300' away. The motor calibrates to your lens automatically, but you can choose to calibrate manually. You can also perform run/stop functions and set hard A and B limits with the buttons on the Hand Wheel for more control over your camera and lens. 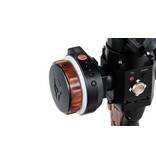 The motor is also compatible with the Nucleus-M FIZ hand unit and handgrips. 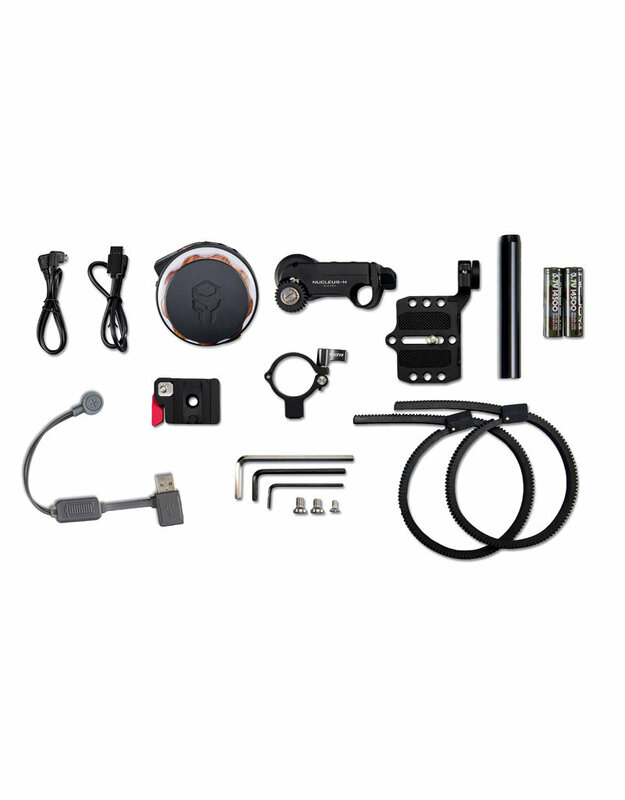 The motor draws power via a 5-18V micro-USB port from a gimbal or D-Tap battery with a separately available cable. The motor is constructed with aluminum, plastic, and stainless steel for durability. 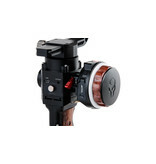 It can mount on a stand, rig, or gimbal with its built-in 15mm rod clamp. Note: Use only run/stop cables specifically designed for the Nucleus-Nano; Tilta wooden handle run/stop cables are not compatible or safe to use with this unit. All cables are available separately. Attach this Tilta Baseplate with 15mm LWS Rod Clamp to the base of your camera and attach a separately available 15mm rod to the rod clamp. The Nucleus-Nano motor can then attach to the rod and provide focus control. The size of the plate and the spacing of the rod clamp are designed to place your motor gear against the focus gear of lenses with a 95mm diameter. Attach your Nucleus-Nano handwheel to a Gravity G2X or DJI Ronin-S gimbal with this Nucleus-Nano Handwheel Attachment Plate from Tilta. 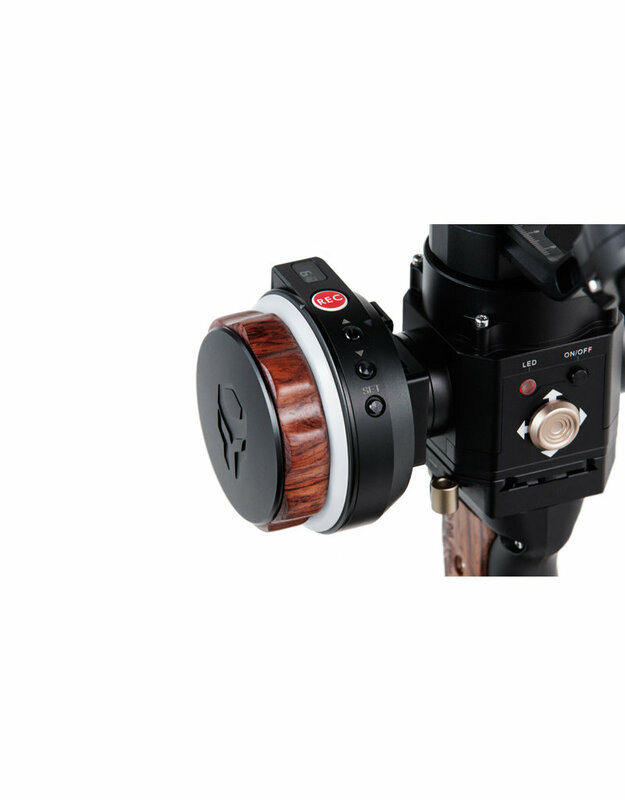 The adapter attaches to the Ronin-S with one of the gimbal's M4 screws, and it attaches to a rosette on the Gravity G2X with the included M6 screw. When attached to the gimbal, the handwheel slides into the plate and is tightened with the locking lever. 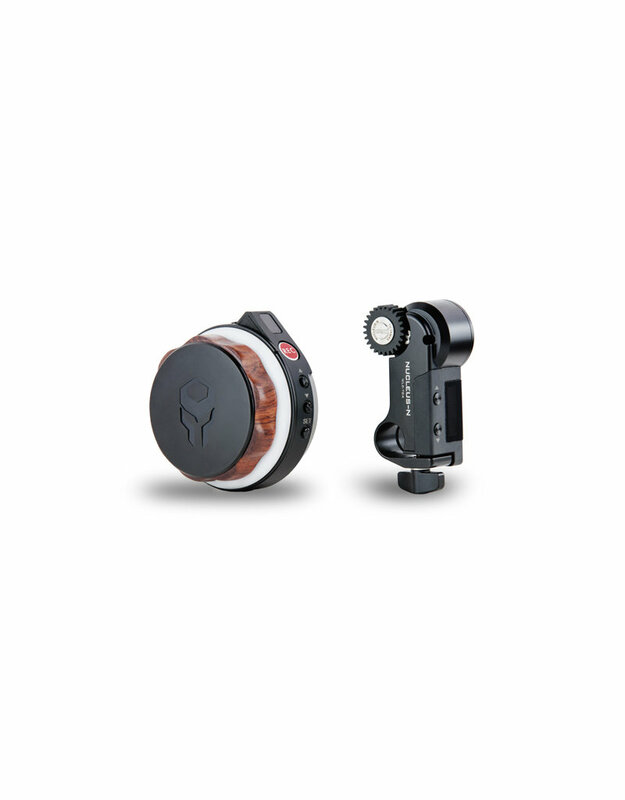 Mount your Nucleus-Nano hand wheel to the handle of the Zhiyun Crane 1 with this Nucleus-Nano Hand Wheel Adapter from Tilta. This sturdy aluminum and steel adapter clamps to the Crane's handle and is secured with a locking lever. The hand wheel attaches to the adapter with a screw. Charge the 14500 batteries that power the Nucleus-Nano with this 14500 Battery Charging Cable from Tilta. The charger plugs into a USB power source and the other end connects positive and negative splitter ends magnetically to a single battery for charging.